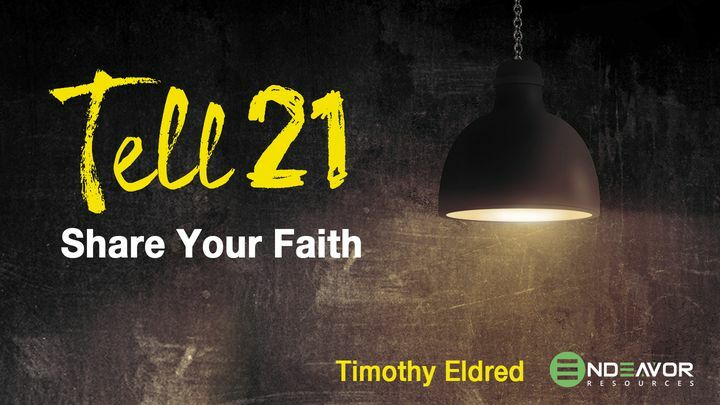 Share Your Faith (Tell21) - Sharing your faith is simply about sharing the story of how Christ has beome the hero of your heart and the Lord of your life. These devotionals, taken from the book, Tell21: Prayer.Care.Share., will take the fear out of telling others about Jesus and help you develop daily habits of prayer, care, and share. Sharing your faith is simply about sharing the story of how Christ has beome the hero of your heart and the Lord of your life. These devotionals, taken from the book, Tell21: Prayer.Care.Share., will take the fear out of telling others about Jesus and help you develop daily habits of prayer, care, and share.